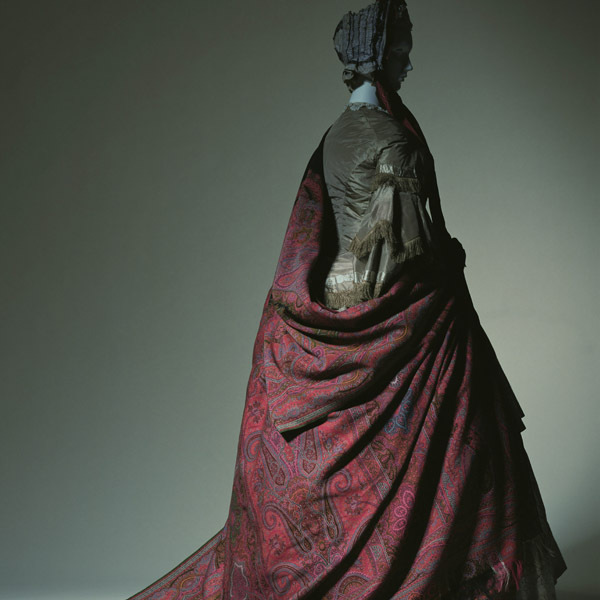 Polychrome cashmere shawl, rectangular with fringe at edges. 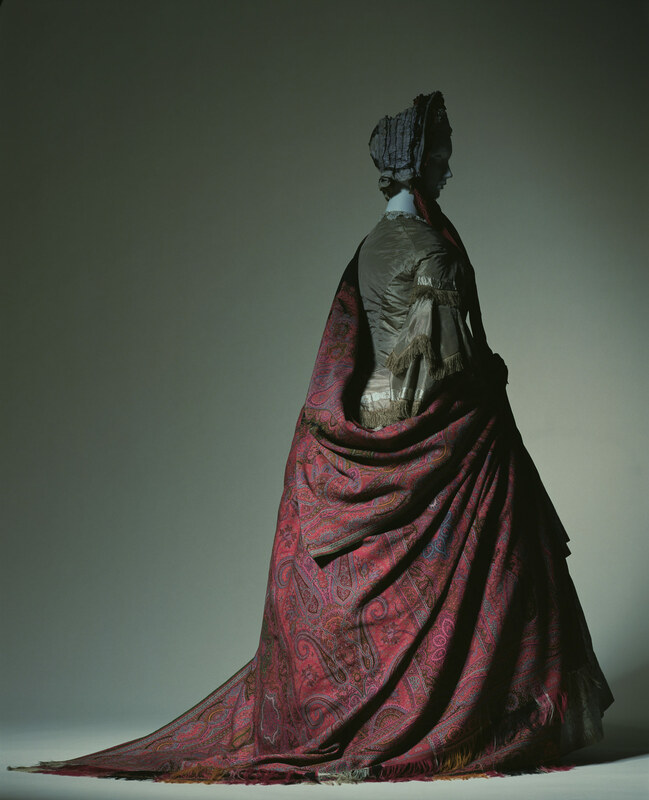 A large cashmere shawl, popular during the time of the Second Empire (1852-70). 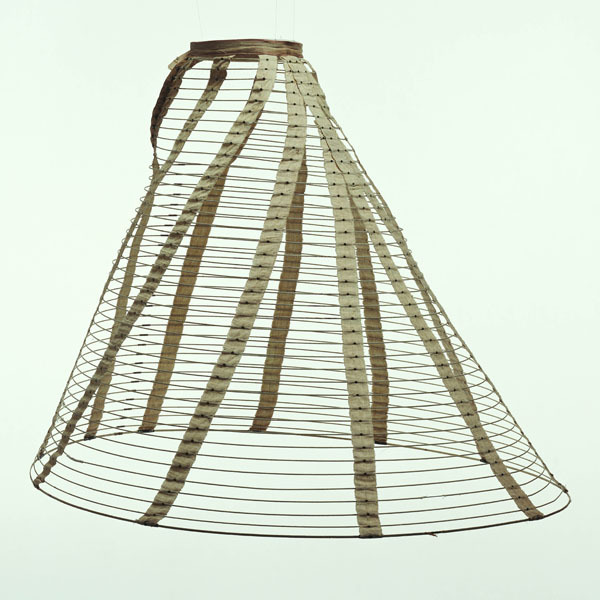 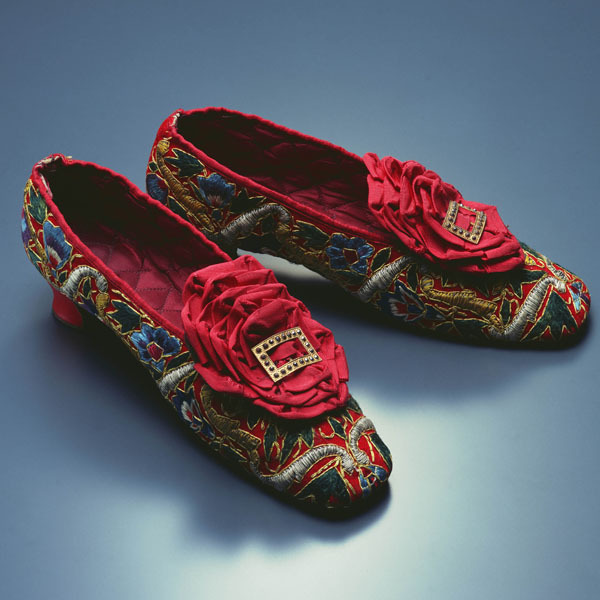 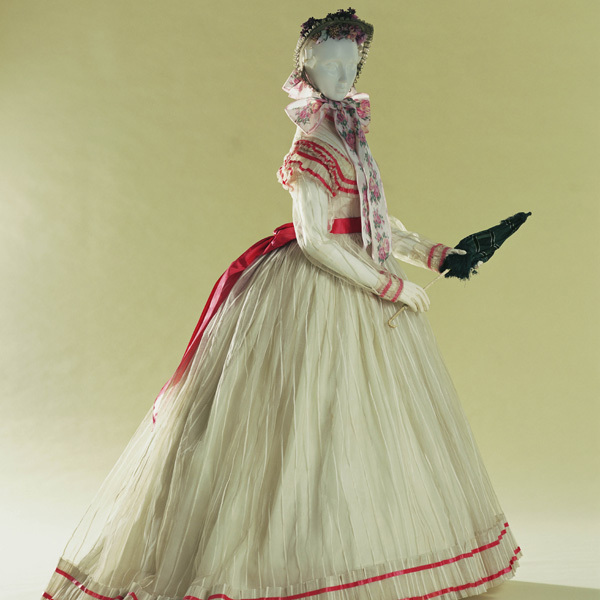 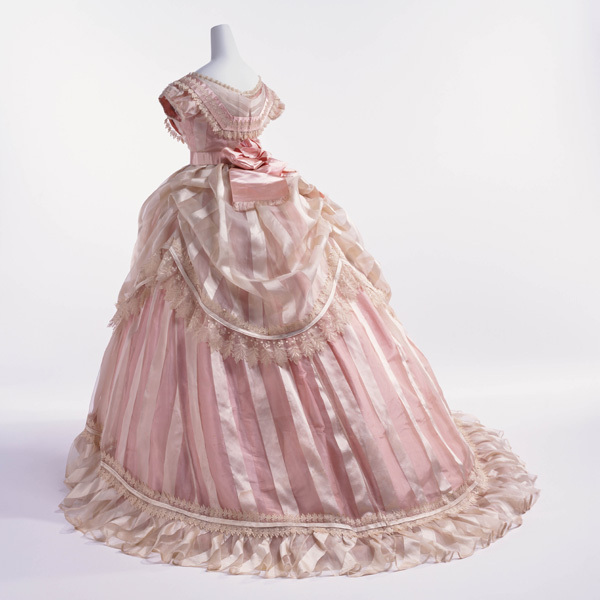 When the crinoline gradually became wider in size, women tended to wear these shawls over the dress as a coat, the way of wearing them also being an indicator of their refinement. 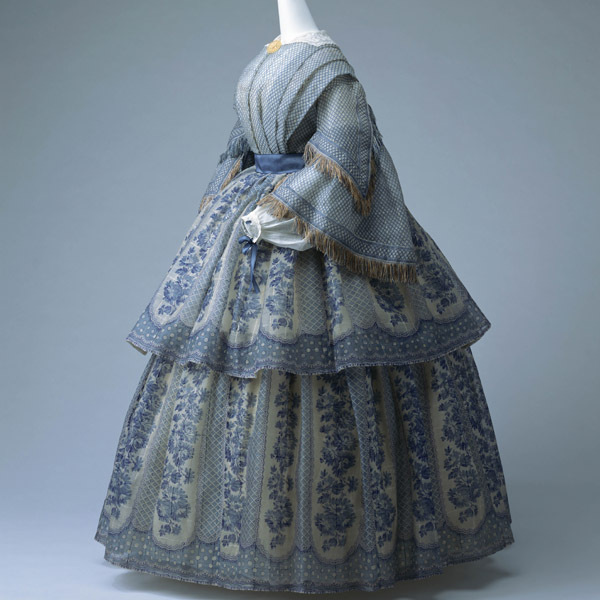 Cashmere shawls similar to this one are depicted in Alfred Stevens's "Will you go out with me, Fido?" 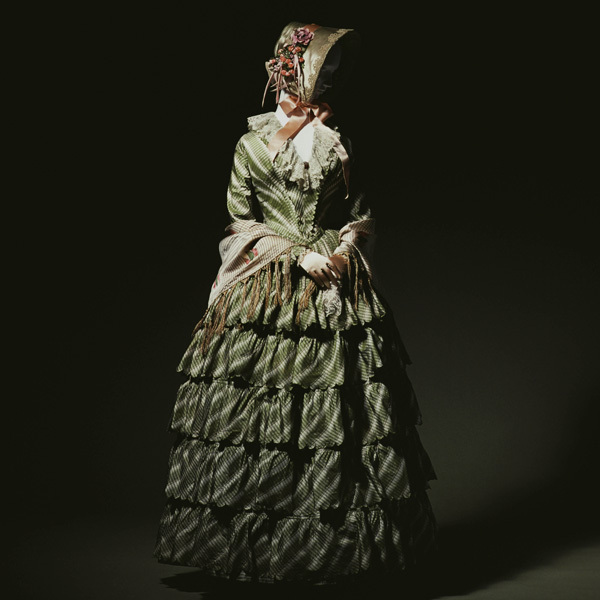 (1859, Philadelphia Museum of Art) as well as Monet's "Madame Gaudibert" (1868, Musée d'Orsay). 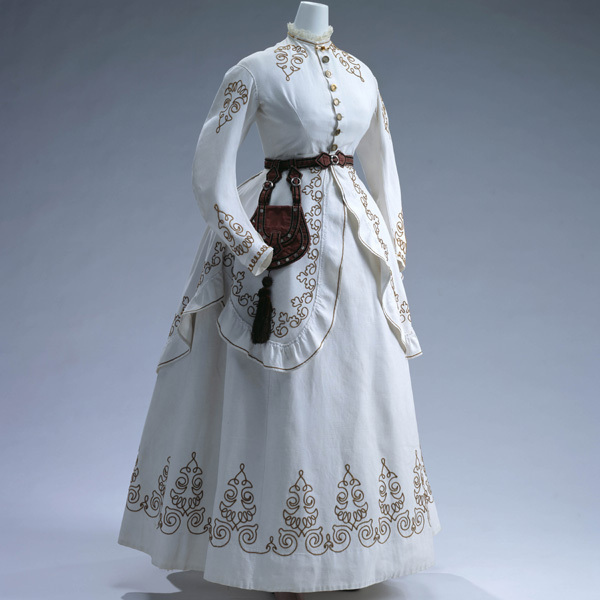 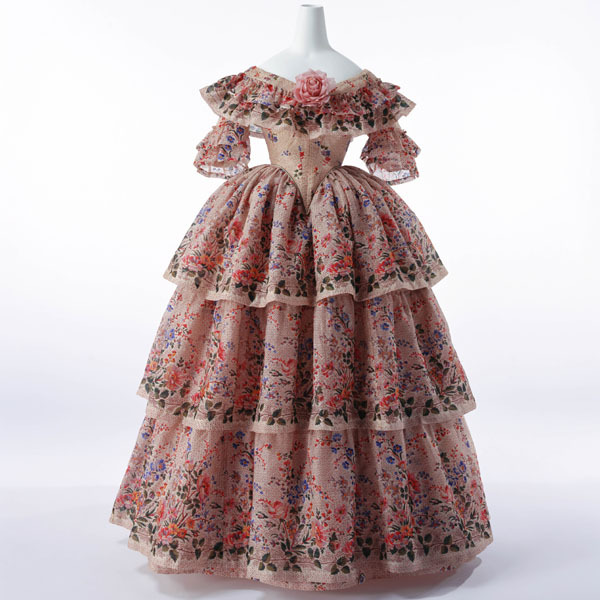 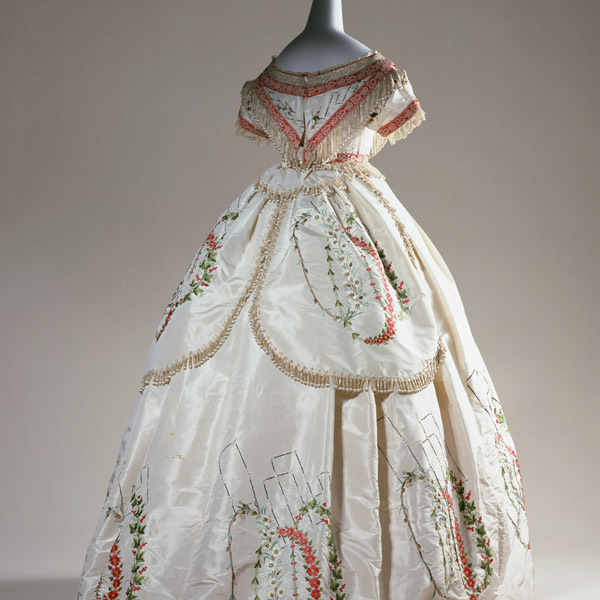 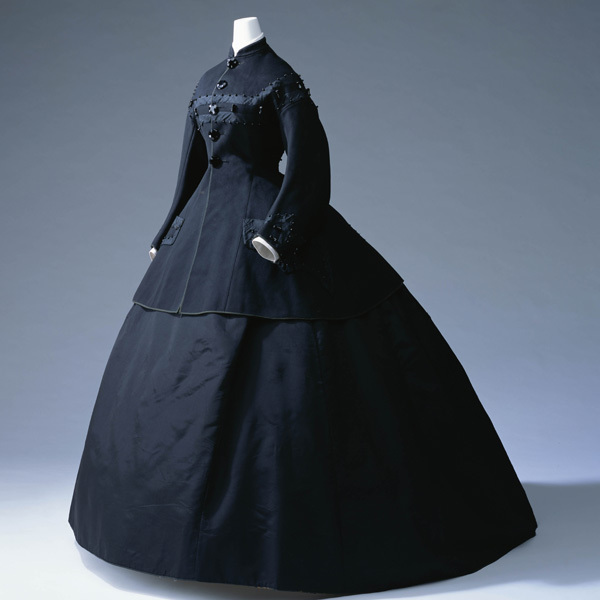 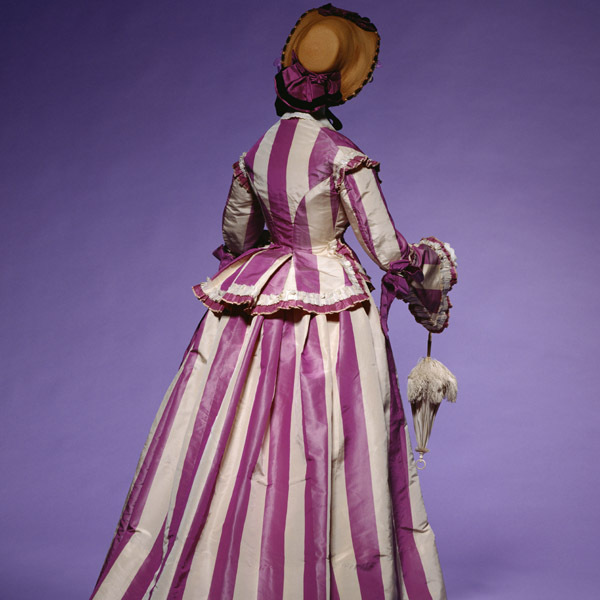 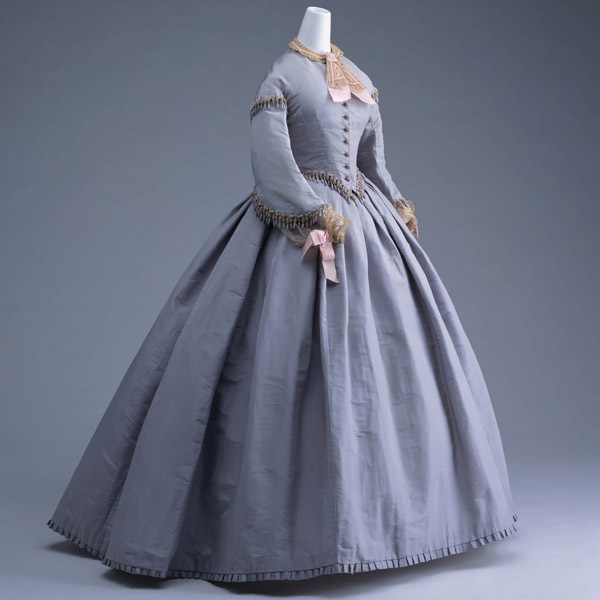 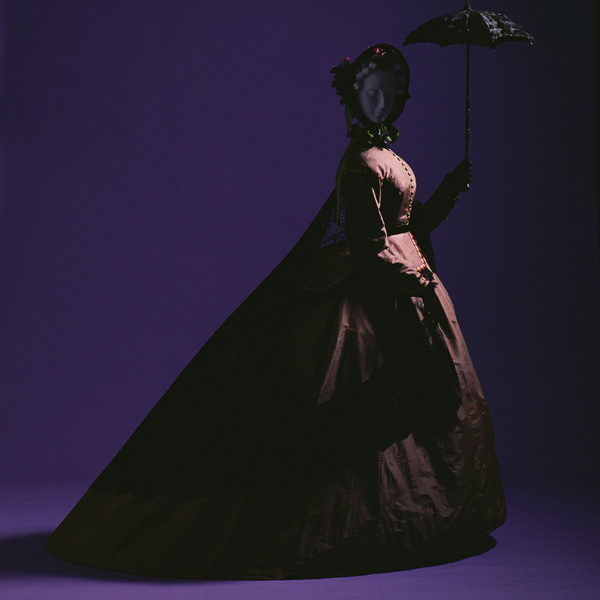 With the bustle style becoming popular, they were often re-worked into a type of coat called "visite" or its fabric would be used as a material for indoor garments. 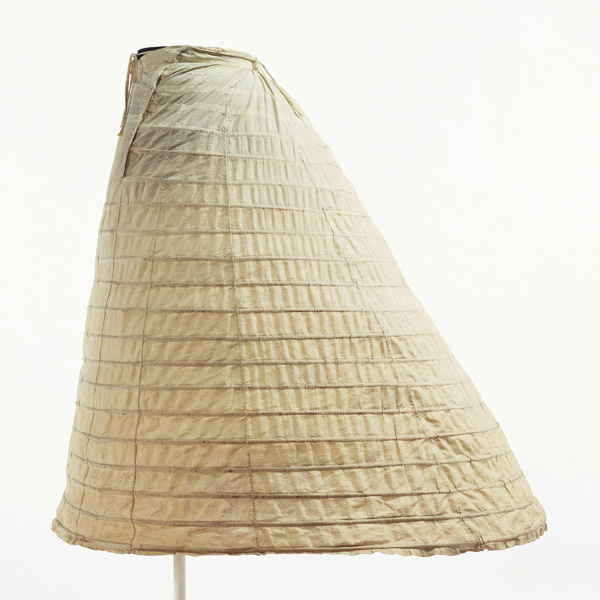 They changed into a piece of indoor decoration used for instance as a throw or household appliances. 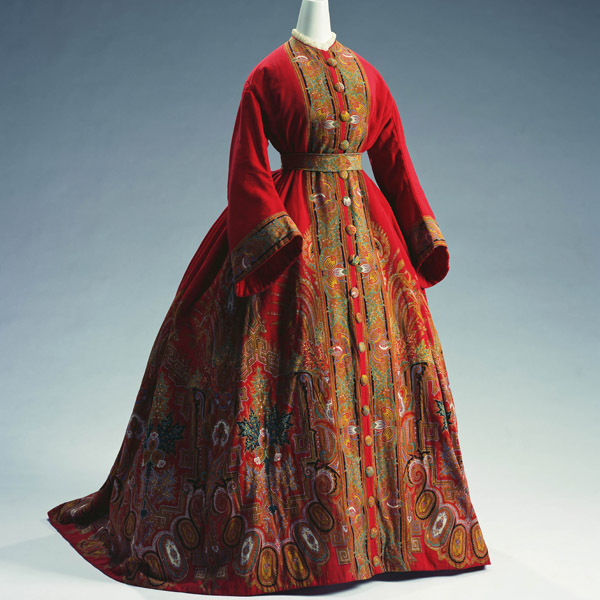 Even though extremely popular in the western world at some time during the 19th century, cashmere shawls and the accompanying industry eventually went into thorough demise.